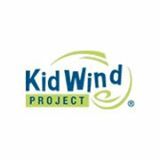 The KidWind Project is a team of teachers, students, engineers, and practitioners exploring the science behind wind and other renewable forms of energy. Our goal is to make renewable energy widely accessible through hands-¬on activities which are challenging, engaging and teach basic science and engineering principles. Through our teacher training programs, curriculum, hands-on kits, and engaging STEM competitions for students, we are actively working to engage minds for a responsible future.